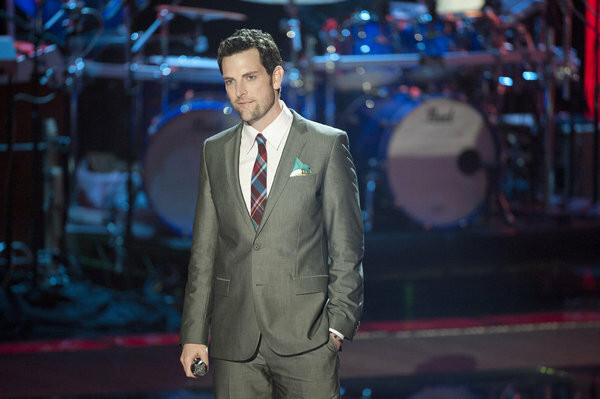 Welcome to Big Red Chairs, the blog for all of your The Voice needs…this week, it’s a fantastic time to be Chris Mann, while Jesse Campbell launches his new album project, Nathan Parrett and Kim Yarbrough get ready to hit the stage, and oh yeah, Maroon 5 might have an album out. I’ve always figured it must be pretty cool to be Team Christina’s Chris Mann: not only is he an amazing singer, but he’s also a gentleman who happens to never, ever have a bad hair day. Well, the events of the last week-plus have pretty much proved that Chris has the best life ever. Chris is hard at work on new music; he’s already got the single “Roads” in the works, as he mentioned at the finale of The Voice last month. It also bears mention that he was one of my favorite people from season two, as he was one of the sweetest, most compassionate people all season long. I’m sure I’m not alone when I say a big congratulations to Chris on his professional and personal accomplishments, and that I wish him continued success going forward! Team Christina’s Jesse Campbell has followed several of his colleagues and started a Kickstarter to fund his new album. You can donate to Jesse’s effort by using this link. Good luck to Jesse in making the project a success! Team Adam colleagues Nathan Parrett and Kim Yarbrough are both appearing in theater productions in the very near future, albeit not together (sadface). This weekend, Kim will be co-starring in Let The Church Roll On at the Wilshire Ebell Theater. The play only runs for two nights, June 30 and July 1, so don’t miss it! If you haven’t already, get your tickets here. Meanwhile, after a successful Kickstarter, Nathan and his colleagues are launching a new Los Angeles production of Spring Awakening that will launch next month. You can get tickets here for that production. Thanks love! Can’t wait for the new album!